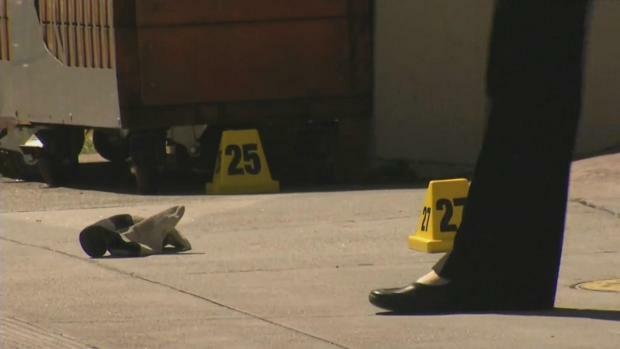 A woman was killed and two men were hurt in a shooting in San Francisco on Wednesday afternoon, police say. Pete Suratos reports. A woman was killed and two men were hurt in a shooting in San Francisco on Wednesday afternoon, police say. Lian Xiu Wu, 65, was shot and killed just down the street from where she lived. Wu was well known in the Oceanview neighborhood for always waving and saying hello in her native Chinese. Police responded to reports of multiple shots fired around 10:40 a.m. in the Oceanview neighborhood around Plymouth Avenue and Broad Street. Two men — one of who is a contractor for a cleaning company that works for Muni — sustained non-life-threatening injuries in the shooting. A woman was killed and two men were hurt in a shooting in San Francisco on Wednesday afternoon, police say. Terry McSweeney reports. Neighbors say the victims were innocent bystanders. Antonio Gutierrez said it’s the second time recently the building where he works has been hit with gunfire. And a woman named Katrina said one of the victims was her ex-husband, a computer repair man who was merely walking back from the store. It’s the third homicide in this neighborhood on that corner in the last 6 months, police said. Supervisor Ahsha Safai believes some of the violence is tied to a turf battle. Police were searching for at least one, maybe two suspects. 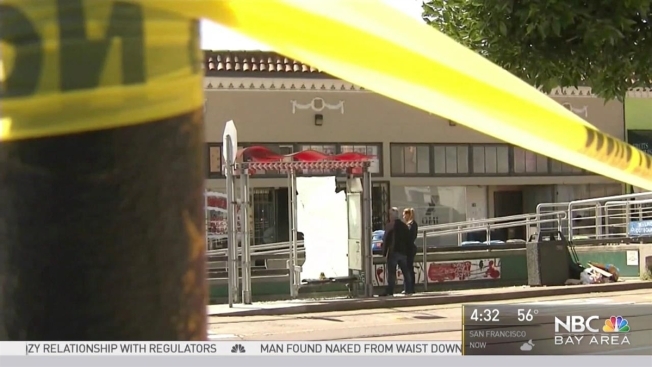 Witnesses said that the shooting occurred in front of a barber shop and Muni stop, which had their windows and glass panels respectively shot out. Video from the scene also shows that the windows of a Toyota Prius were shattered. A homicide investigation is ongoing, police said, adding that there will be an increased presence of officers in the neighborhood. A GoFundMe page has been launched to help pay for Wu's funeral expenses. 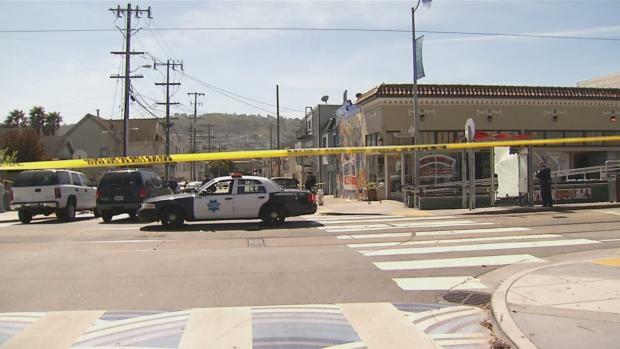 A woman was killed and two men were hurt in a shooting in San Francisco on Wednesday afternoon, police say. Christie Smith reports.